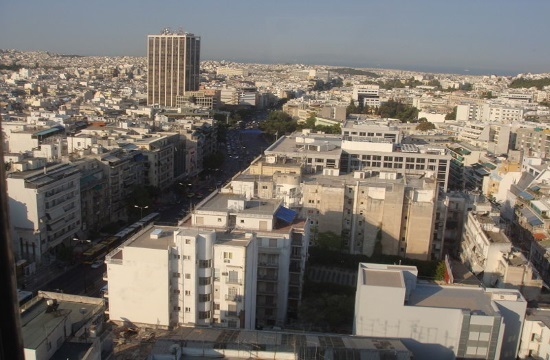 A large cache of online applications by would-be beneficiaries of a rent subsidy – one of a handful of welfare spending measures being doled out by the leftist Tsipras government – has revealed numerous instances of tax evasion in Greece, according to naftemporiki.gr. Among others, the most prominent example of tax evasion deals with lease agreements that have not been electronically submitted to the tax bureau, as well as contracts without the exact monthly rent fee noted, or, the duration of the lease. Furthermore, according to reports, the online application and submission of supporting documents has, in many cases, sparked disputes between landlords and tenants, with the latter pressing for corrections in electronic lease agreements in order to qualify for the subsidy. Still other reports point to many owners demanding that tenants pay for a 100-euro fine imposed by the tax bureau for electronically filing a lease agreement after its date of activation. According to the state-run e-Government Center for Social Security Service, up until Sunday morning more than 163,000 applications had been filed online. Of those, only some 60,000 had been processed, with nearly 75,000 cited as being on “stand by”, while the remainder was rejected. Of the applications on “stand by”, some 34,000 required the approval (consent) of other adult tenants residing in the same residence for which the subsidy is requested. Approval, nevertheless, requires personal login and username codes with the tax bureau. Another 30,000 applications await corroborating documents proving that an applicant has resided in Greece during the previous five years.